In recent years, as knowledge and awareness of the dangerous repercussions and potentially life-altering effects serious head trauma can have has grown, blood tests are quickly becoming an essential resource for diagnosing an individual’s injuries and monitoring any impact these injuries may have on their mental health further on down the line. As more and more evidence has come to light about the seriously detrimental effects a concussion can have on the brain, it has become evident that it is absolutely imperative to monitor the mental and physical health of individuals who have experienced such physical trauma. Today, the scientific and mental health communities are looking towards a promising blood test that could potentially reveal so much more about cases of neuropathy and help to identify more severe instances of traumatic brain injury when diagnosing a concussion. Over the last decade, the mental health community has begun to expose the link between injury sustained to the head/brain and the development of other psychological problems down the road. Although more and more mental health services have become more widely available to victims of serious brain trauma, it is still difficult to diagnose these problems and distinguish just how badly an injury might have impacted your brain. Trying to figure out who doesn’t need any additional care and who does can be very challenging. The only way to minimize the potential effects of such trauma is to monitor anyone who has experienced those kinds of injury to make sure they continue to receive the appropriate treatments. For a long time, CT scans were assumed to be the best way to find any indicators of traumatic brain injury. Unfortunately they are not always able to accurately assess the problem. While CT scans can reveal internal bleeding, they cannot show whether or not the cells themselves within the brain have been damaged, which is the primary cause of traumatic brain injury. Furthermore, because CT scans expose patients to a heavy dose of radiation, many doctors are hesitant to use them, especially in the case of children and adolescents. A research team led by emergency physician and director of clinical research at the Orlando Regional Medical Center, Doctor Linda Papa, has been hoping to find a better way of diagnosing the kinds of injuries that require further evaluation. “We don’t want to do any unnecessary procedures on people who don’t need them,” Papa said when asked about using CT scans on patients. Papa and her team zeroed in on the significance of two, specific blood proteins, GFAP and UCH-L1. These blood proteins, or biomarkers, are known to be connected to brain injuries, and the team had hoped to find out just how they responded to this kind of trauma. The process entailed drawing blood from subjects nineteen times starting between four hours after their injuries occurred and up to a week afterward. Papa and her team noted any changes in these biomarkers’ levels to see how they might be related to any symptoms the subject might exhibit. After collecting blood from over five hundred subjects exhibiting trauma-related injuries affecting the brain as well as other areas of the body, researchers ran tests to find out whether or not increased levels of these biomarkers were uniquely found in brain injuries specifically, or whether they occurred in the event of any form of physical trauma. The studies showed that levels of GFAP and UCH-L1 increased within the first hour following the incident of injury, regardless of the kind of injury sustained. However, they also revealed that people who exhibited signs of traumatic brain injury had significantly higher levels of GFAP and UCH-L1 than people with other kinds of physical trauma, such as a severe burn or a broken leg. This indicated that the dramatic spike of these biomarkers are in fact unique to traumatic brain injury and not just any sort of trauma. GFAP is found only in astrocytes, a particular kind of cell that forms a matrix of nerves within the central nervous system. Researchers found that levels of GFAP reach their peak concentration around a day after the subject encountered their injury. After about twenty hours, they begin to drop, but will still be present for about seven more days. 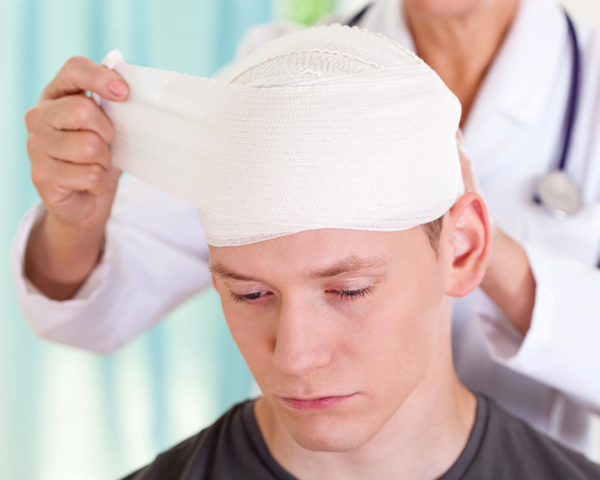 Similarly, high levels of UCH-LI can help indicate whether or not a patient has sustained any head injuries that might raise concern and need to be addressed further. Nerves in the brain release UCH-LI when they encounter stress so levels of this protein will be notably higher after being subjected to a traumatic injury. These findings will make a huge difference in the medical community. With all the knowledge we have about the potential impact of concussions now, these findings will undoubtedly prove to be a crucial resource within concussion clinics in trying to diagnose the severity of an injury in the future. 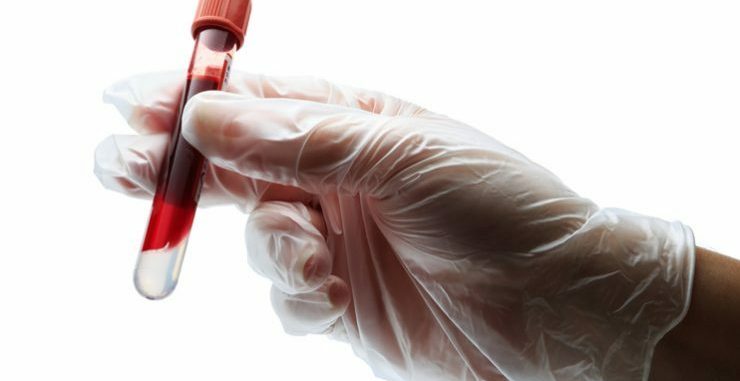 Now, people who have sustained more moderate to severe brain trauma will be able to identify and deal with any symptoms of neuropathy they may have developed as a result of their injuries through this blood test. Doctors who have to make rapid decisions in the emergency room can turn to this method in order to determine whether or not a patient needs a CT scan. They can also use this test to check out any potential damage that might not be immediately apparent, especially if a patient doesn’t feel the need to speak with their doctor right away. Now, if your doctor suspects detrimental, long lasting effects they can recommend some physical or mental health services. “We may not use these blood tests in a hundred percent of cases but probably in eighty percent of cases where there is a question mark, a blood test could definitely help,” Doctor Papa said. At the very least, these kinds of tests will be of huge assistance to mental health professionals trying to determine the best kind resources and services for those patients subjected to traumatic brain injury. Now that evidence has proven the link between traumatic brain injury and a number of tremendously serious repercussions on our mental health, it’s imperative we find a way to help those suffering. These blood tests will help to uncover whether or not a person has sustained a more serious traumatic brain injury that requires additional attention in the hopes of ultimately benefitting the overall physical and mental health of all patients.